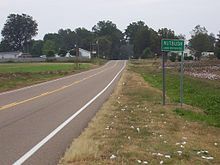 The city proper starts and ends at the city limits, as seen with this sign for Schulenburg, Texas. City proper is one of the three basic concepts used to define urban areas and populations. The other two are urban agglomeration, and the metropolitan area. In some countries, city limits that act as the demarcation for the city proper are drawn very wide, in some very narrow. This can be cause for recurring controversy. In its strict sense, city proper is used as a technical term in demography, the statistical study of human populations. Under the title "World Urbanization Prospects", the United Nations issues every two years estimates and projections of the urban and rural populations of all countries of the world. The book defines the population of a city proper as "the population living within the administrative boundaries of a city." The book continues to say that "city proper as defined by administrative boundaries may not include suburban areas where an important proportion of the population working or studying in the city lives." In demography, city proper is one of the three basic concepts used to define urban areas and populations. The other two are urban agglomeration, and the metropolitan area. In addition, there are Census Statistical Areas and permutations thereof. A United Nations University working paper titled "Urban Settlement" reviews the most commonly used data sources, and highlights the difficulties inherent in defining and measuring the size of urban versus rural populations. It says: "The city proper is determined by legal and administrative criteria, and typically comprises only those geographical areas that are part of a legally defined, and often historically-established administrative unit. However, many urban areas have grown far beyond the limits of the city proper, necessitating other measures. An urban agglomeration is the de facto population contained within the contours of a contiguous territory inhabited at urban density levels without regard to administrative boundaries’. Urban agglomerations are thus determined by density: the agglomeration ends where the density of settlement drops below some critical threshold. A still more comprehensive concept is the metropolitan area." In short, there is no "right" manner to define a city or municipality; city proper is just one manner. The term is a combination of "city" in the sense of "an incorporated administrative district", and "proper" in the sense of "strictly limited to a specified thing, place, or idea" or "strictly accurate". 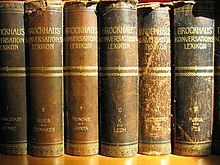 In encyclopedias, the term "city proper" is often used as an example to illustrate the meaning of the word "proper" in the sense of "tightly defined". Especially when translated from the English or back, "city proper" sometimes takes on different meanings in different parts of the world. Some languages have no equivalent. "Except for Tokyo, all data refer to shi, a minor division which may include some scattered or rural population as well as an urban centre". 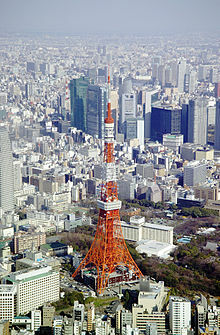 In Tokyo, "data for city proper refer to 23 wards (ku) of the old city". "For all regions it is not possible to distinguish between 'city proper' and 'urban agglomeration' areas, therefore data has been included under 'city proper'". do not report City Proper data; agglomerations only. provides city proper data for most cities; for some large cities, such as Istanbul or Ankara, only agglomeration data are given. provides city proper data for most cities, while for others, such as Guadalajara, Mexico City, or Monterey, only agglomeration data are given. A city can be "an administratively separated area entitled to civil (municipal) rights". "Data for cities proper refer to communes which are centres for urban agglomeration". These definitions are those given for the purpose of the United Nations Demographic Yearbook. One should not assume that these necessarily are the prevailing definitions in their respective countries. Even in the English speaking world, there can be considerable confusion about the term "city proper". Official city websites sometimes claim that "the city proper is the area of the city where the population is the most densely populated" - which is a common misconception. Even noted demography experts, such as Richard L. Forstall, Richard P. Greene, and James B. Pick, authors of the paper "Which Are The Largest? Why Published Populations For Major World Urban Areas Vary So Greatly" (which is the basis for List of metropolitan areas by population), can get confused about the usage of "city proper". On page 2, they give "city proper" an "administrative definition". On page 5, they imply that the administrative boundaries define the "city proper". Yet on page 14, they make "city proper" a smaller subset of the administrative areas of the cities of Tokyo, Mexico City, and Chicago, and imply that "city proper" and "administrative area" can be different. When articles are translated from other languages, "city proper" is often misused for the city center. One should not automatically assume that "city proper" always refers to "administrative area". Caution should be exercised if the text was translated from another language. 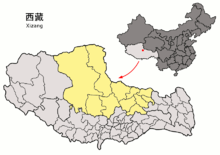 Nagqu (yellow), Tibet, a city established in 2018, became the largest city in China by area, overtaking Hulunbuir, Inner Mongolia. In some countries, city limits that act as the demarcation for the city proper are drawn very wide, or very narrow. This can be cause for recurring controversy. "List of cities by surface area" lists little known cities that are larger than many countries. By area, the city of Altamira, Brazil (population 84,000) is bigger than Greece. The City of Kalgoorlie-Boulder (population 32,000) covers more area than Hungary, Portugal, Austria, or Ireland. While these examples cause limited debate, cities in China are a source of continuing disagreement. On the other side of the extreme is Metropolitan Lagos. This city has a population of nearly 8 million according to the latest census, which is debated. Official data by the Lagos State estimate the population of Metropolitan Lagos at more than 14 million. However, there is no Metropolitan Government. The Municipality of Lagos was disbanded in 1976 and divided into several Local Government Areas. As a result, the most populous city in Africa, and one of the most populous and fastest growing cities in the world can be missing from lists of cities proper. A similar situation exists in Australia, where large cities are divided into much smaller Local Government Areas. ^ United Nations. Dept. of Economic and Social Affairs (2002). Demographic yearbook, 2000. United Nations Publications, 2002. p. 23. ISBN 92-1-051091-7. ^ Robert B. Potter; Virginia Potter (1978). Urban development in the world dryland regions: Inventory and prospects. Geoforum. pp. 349–379. ^ "Global Urban Indicators - Selected Statistics" (PDF). UN habitat. November 2009. Archived from the original (PDF) on 10 January 2011. Retrieved 20 Jul 2010. ^ World Urbanization Prospects: The 2003 Revision. United Nations. 2004. p. 2. ISBN 92-1-151396-0. Retrieved 2010-07-19. ^ World Urbanization Prospects: The 2003 Revision. United Nations. 2004. p. 104. ISBN 92-1-151396-0. Retrieved 2010-07-19. ^ "WordNet Search - 3.0". Wordnetweb.princeton.edu. Retrieved 2010-07-26. ^ "Proper - Definition and More from the Free Merriam-Webster Dictionary". Mw2.merriam-webster.com. 2007-04-25. Retrieved 2010-07-26. ^ Encarta example for the usage of "proper"
^ "那曲地区撤地设市" [Nagqu Prefecture Abolished to Establish City] (in Chinese). 人民网－人民日报. 2018-04-26. ^ Yunyan Yang (Fall 2003). "Urban Labour Market Segmentation:Some Observations Based on Wuhan Census Data" (PDF). The China Review. Wuhan. 3 (2): 145–158. Retrieved 20 Jul 2010. ^ Kam Wing Chan. "Misconceptions and Complexities in the Study of China's Cities: Definitions, Statistics, and Implications" (PDF). University of Washington: Bellwether Publishing. Retrieved 20 July 2010. ^ "Population (Lagos)". Retrieved 2010-07-28.